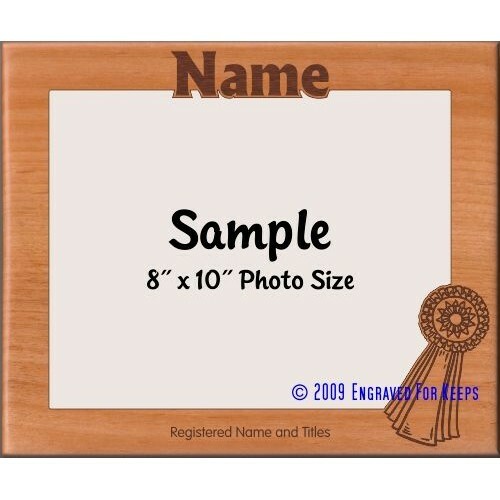 A rosette is engraved and cut along the bottom of the frame. 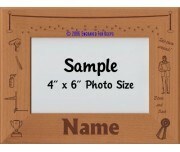 The "name" is engraved and cut along the top of the frame. 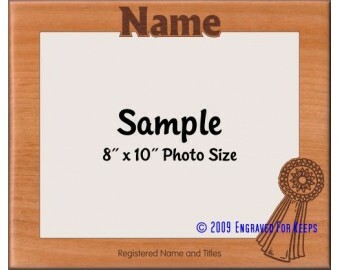 Space is available at the bottom to engrave the registered name and titles at no extra charge. 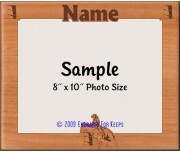 At no extra charge, the ribbon can be "flipped" to the left side to accommodate your photo. 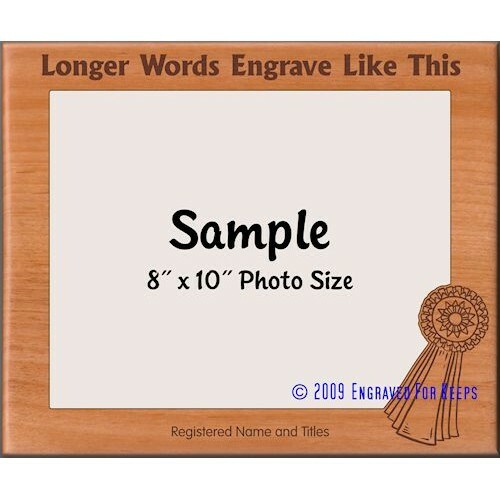 Engraving Options Includes personalized engraving with any amount of text that can fit in the allotted space. Short names or words work best so the individual characters can be cut to shape. Your choice of standard font. Features Glass insert. Frame includes pop-out easel & "keyhole slots" in wood to hang on walls.